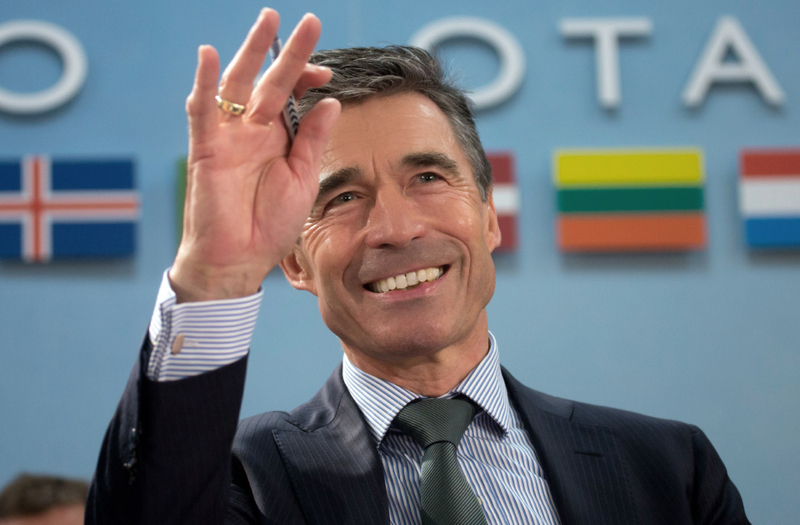 Anders Fogh Rasmussen – Microsite | Celebrity Speakers – Anders Fogh Rasmussen is a global politician who gives keynote speeches on leadership in a troubled world, international security challenges, Europe’s role regarding geopolitical trends and international hot spots. 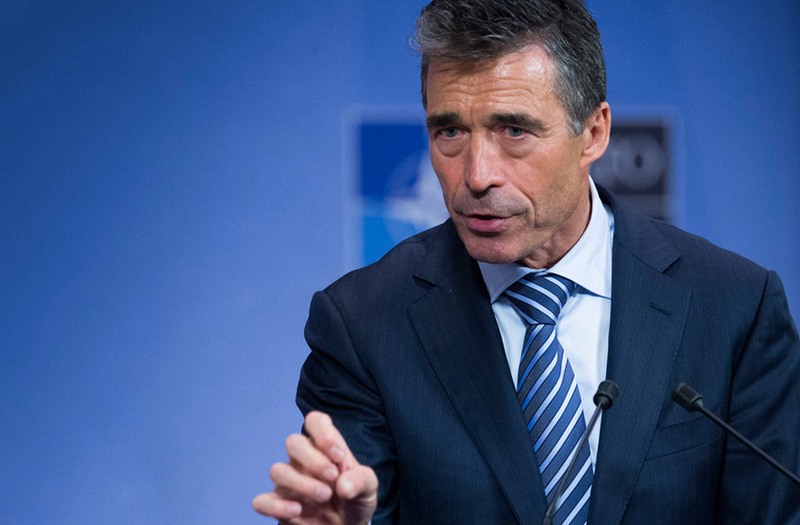 For three decades Anders Fogh Rasmussen has been at the centre of global and European politics; including being Prime Minister of Denmark, Danish Minister of Economic Affairs and NATO Secretary General. Anders now runs his own political consultancy, Rasmussen Global, and is non-staff adviser to Ukraine’s President Petro Poroshenko. He has also joined the Yalta European Strategy (YES) board. In 2017 Anders founded The Alliance of Democracies, which is dedicated to the advancement of democracy and free markets across the globe. He is also co-chair of the Transatlantic Commission on Election Integrity, which unites political, tech, business and media leaders to detect and prevent the next generation of foreign election interference. Most recently Anders Fogh Rasmussen has joined Concordium as a Strategic Advisor. Concordium is the world’s first identity-validating, regulatorily compliant blockchain network. Anders has played a key role throughout his various tenures; when Denmark held the Presidency of the European Union he concluded 10 candidate negotiations for accession to EU membership. 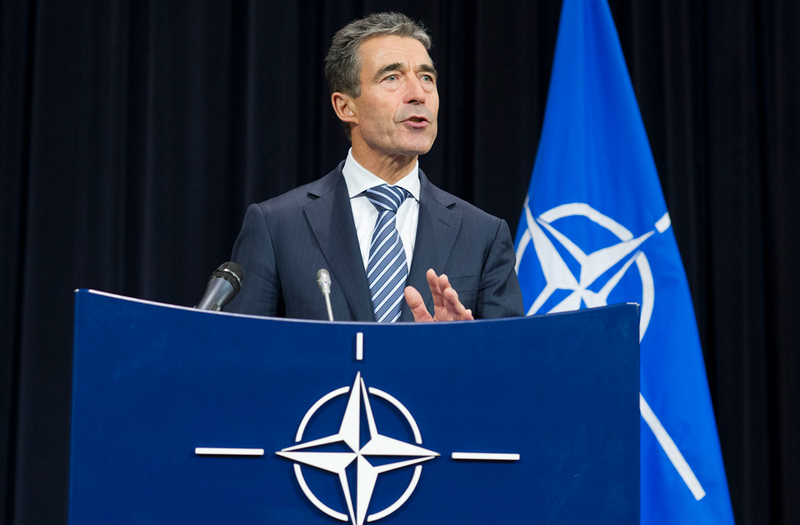 As part of NATO he helped create a fundamental transformation of the Alliance, developing a new Strategic Concept, setting core priorities for the future. In the midst of the most serious economic crisis of modern times he launched a new initiative calling on nations for more multinational cooperation. It is Anders’ experience and achievements along with his outstanding abilities which makes him recognised as a hugely respected voice in international politics. Anders gives unique insights into geopolitical trends and international hotspots. He also discusses the current international security challenges with great clarity. 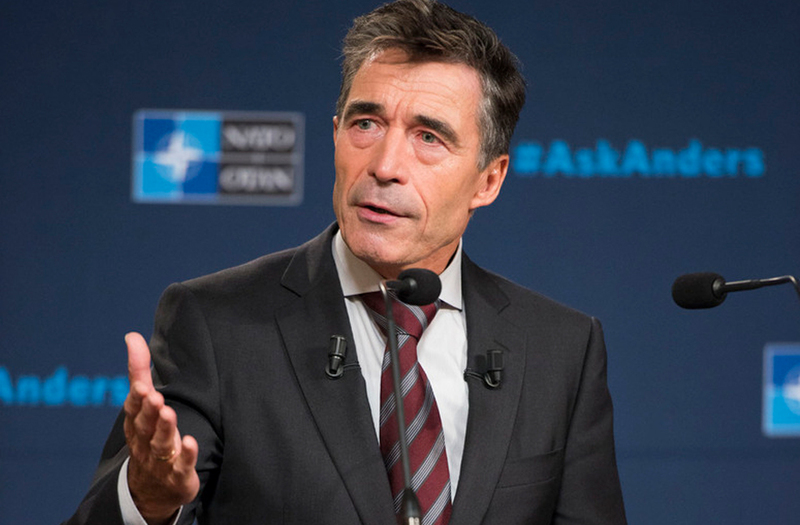 Drawing on his skills as an effective communicator, as a speaker, Anders Fogh Rasmussen also provides audiences with his knowledge and vision about Europe’s role in the world of geopolitical change. 1. What are the top 5 threats to international security in the coming decade? First, international terrorism. The rise of radical Islamism will fuel terrorism, not only nationally, but also globally. The terrorist network, al-Qaida, the sectarian Sunni-Shia divide and the rise of the so-called Islamic State hold the greatest potential for a regional and global terrorist threat. Second, nationalistic revisionism. Russia’s attempts to re-establish a zone of Russian influence in its near abroad and China’s flexing of muscles in the East China Sea are prime examples. Third, proliferation of weapons of mass destruction. Iran’s nuclear aspirations pose a risk of a regional nuclear arms race. Non-secure stockpiles of nukes or biological weapons are tempting targets for terrorist groups set for terrorist attacks. Fourth, cyber attacks. Cyber attacks can disrupt the critical infrastructure that is vital to our economy, commerce, public safety and military. These attacks can be carried out by criminal groups as well as terrorist networks and nation states. Disinformation is intoxicating our societies, but the next generation of Artificial Intelligence-enabled disinformation such as deepfake videos, will be a game-changer. Fifth, transnational crime, such as arms smuggling, human trafficking and drugs trade. These illicit activities will often be financing terrorist organizations and extend their reach and wealth. Many of these threats will be reinforced by failed states where people suffer from poverty and lack of opportunities, and climate change that will lead to new conflicts over migration and resources. 2. How do you become a true leader and what traits must you possess? A true leader must be capable of setting a clear vision, transforming that vision into concrete goals, elaborating a strategy to achieve the goals, creating a coalition to carry out the strategy, and communicating the vision, the goals and the strategy. The true leader realizes that his or her overall mission can only be accomplished through team-work. That requires an ability to attract the most talented and ambitious people, to develop a good and creative working environment, and to show genuine appreciation for a good performance. At the same time, the true leader must stay focused on the goals, demonstrate true resolve, and be willing to take risks. 3. What is Europe’s role in 21st Century geopolitics, and which changes can or should be applied? The European Union is the ideal forum for tackling globalisation. With its well-developed institutions, its democratic values, and its economic weight and clout. It is time for the EU to “go global”. First and foremost, because we as Europeans have a responsibility to work for freedom, democracy and peace around the world. But next, because it is in our own interest. The global power structure is changing. We can no longer take for granted that our values will continue to dominate international relations. The EU must be strong in order to defend freedom, democracy and human rights. First, we must reform our economies to make them more competitive and stimulate growth and job creation. Second, the EU must take the lead in efforts to foster free trade and transatlantic economic cooperation. Third, we must strive for an independent Europe and reduce Europe’s dependency on imported oil and gas. Fourth, the EU must guarantee its citizens’ safety and security at a time when organised crime and terrorism attempt to breach all borders. Fifth, the EU must play a far more active role in its foreign policy – taking the lead in the fight against poverty and promoting security and democracy across the globe. 4. What are the key international challenges and opportunities for businesses in the coming months and years? Partnering with GoogleAI has helped to dramatically accelerate the optimization and troubleshooting of complex systems like plasmas, which can change faster than a human alone could track. The Optometrist Algorithm we co-developed can predict the most favorable conditions for fusion, thereby exponentiating the information yielded from each experiment and progress made toward realizing the promise of fusion. We see the team’s advances in AI/ML technology – coupled with standing on the shoulders of giants who spent 50 years of brilliant fusion research that got us here – as a turning point. As we end a turbulent year, in so many respects today’s world is a brighter place. Technology continues to remove barriers; global poverty is falling; and the world economy growing. 40 years ago, 12 percent of children born around the world died before they reached their fifth birthday. In 2015 that figure was four percent. But we cannot deny that, geopolitically, the world is on fire. 2019 will be a pivotal year in deciding whether we contain the fire, or pour more fuel onto it. Determined American global leadership is needed now more than ever; yet I fear the policeman of the global international order is going into retirement. And we see yet again the consequences of US disengagement. This is not the first time the world has heard the phrase, ‘America First’. President Wilson used it in 1915 to justify US non-intervention in World War One. 18 months later, Germany brought the war to America. A generation later, the America First committee opposed US intervention in Europe’s war. Again, the war came to America. Once again, the West is divided, autocrats are in the ascendancy, and the peaceful world order is giving way to narrow interests, short-term transactions and zero-sum games. Malign states are stepping in to exploit the divisions, and to occupy the vacuum we leave behind. If Russia sees the world as a chess board, China sees it as a game of Monopoly. Yet many in the West continue to see it as a game of Scrabble – where words seem to count more than actions and interests. Our values are important. So it is time we made a stand for them – at home and abroad. These values will be tested in elections across the democratic world, from India to Canada, critical elections in Ukraine, and seminal elections in the European Union. In Europe, we must end the self-defeating spiral of division between the core and the periphery; Eurozone and non-eurozone; East versus West; large states versus small states. We must find a formula that is respectful of our differences, yet also considerate of the desire of some to integrate further. And we must understand why people are so often rejecting the political centre for populist forces. Yes, populists give simplistic and often undeliverable answers to complex questions, but their claims rarely lack a grain of truth. Mainstream political leaders have not shown robust solutions to today’s challenges: from managing migration in a way that maintains public support; through to adapting today’s open market global economy so that it delivers for all, and not just for bankers and multi-nationals. In 2019, we must try harder to show why freedom, democracy, open markets and multilateral cooperation deliver peace, progress and prosperity for everyone. These principles are not perfect – no man-made system is – but they are far preferable to the alternatives. In 2019, the Alliance of Democracies Foundation that I founded will continue to make this case, and will work not only to strengthen our democracies, but to promote democracy abroad. Defending our freedom is not just about issuing statements, or warm words. It is about uniting around our common ideals and taking actions to defend them; and shining our values into the dark corners of the world. As a citizen, I will continue to do all I can – and I hope you will join me. I wish you all a very happy, peaceful and prosperous 2019. If you would like to book Anders Fogh Rasmussen for your next event, please call Jakob Juhl on +376 735 174 or send an email to jakob@csaspeakers.com. We provide the most influential people on the planet to inspire, educate, motivate or entertain. It's what we do best and what we've been doing since 1983. Today we are a world-leading speaker bureau. When you choose CSA, rest assured, you will be working with the best in the business.